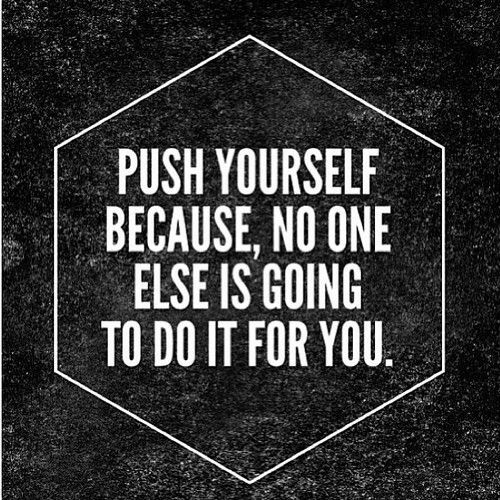 Could You Be Pushing Yourself Out of The Gym? This article was written by Brandon Beylo. Brandon is a student at Syracuse University and is on the MealFit Staff. I love having this guy as apart of our team. I know you will enjoy this. If you’ve ever been an athlete of any kind, you know what it’s like to be constantly pushing yourself. The words ‘satisfied’ and ‘content’ aren’t even remotely part of your vocabulary, and you can’t stop thinking about what you have to do to get even better than you currently are. Don’t get me wrong, all those aforementioned qualities are what makes us athletes. They’re good things. However, like nearly all good things, you still need to practice moderation. What does that look like? Let me give you a personal background story that happened only a couple weeks ago. Last December, I had surgery to repair a torn labrum in my right shoulder. It’s been a long recovery process, but I am happy to report that I am back to 100% in my shoulder! That being said, I still am not where I want to be. Because of this, I found myself in the gym getting furious at myself for not being able to push a heavy prowler at the end of a long workout. Why did I get furious? Simple. In my head, I couldn’t push that prowler because I still was weak. I wasn’t strong enough. All of these negative thoughts crept into my head like squirrels to acorns! In this instance, pushing myself turned into bashing myself. As athletes, we walk this tight rope every time we step into the gym. More often than not in my case, I choose to bash. It wasn’t until someone very close to me pointed this out by saying, “Brandon, I love working out with you, I really do, but you become this self-bashing jerk that isn’t fun to be around at all.” Wow, talk about brutal honesty. But that’s exactly what I needed to wake me up. Guys (and gals) listen up, you only get so much time on this Earth to do what you love. From that m oment, I realized that there is no point in bashing yourself when you can be pushing yourself. Shoot, I am blessed enough to wake up every morning and be able to walk! What gives me the right to bash myself for not lifting a certain amount of weight! Each day we get is a blessing from the Almighty, it’s time we start acting like that in every aspect of our lives, including the gym. If you miss a PR on your Deadlift, don’t beat yourself up and remind yourself how far you have to go. Instead, try being thankful that you have the ability to actually do a dead lift in the first place. The moment I started choosing to be thankful, to be pushing rather than bashing myself, the more fun I started having in the gym, and the more I enjoyed the ride, instead of focusing on how far along the road I still had to go.